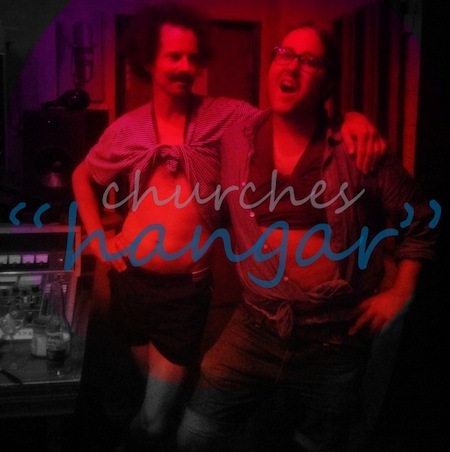 Pat Spurgeon, Dominic East, and Caleb Nichols are SF-based indiepoppers who play under the moniker, CHURCHES (please do not confuse them with CHVRCHES). The band just released their latest EP, H A N G A R. The EP a raw live recording, that was engineered and mixed by Bryce Gonzales at The Hangar in Sacramento, CA over three days in July 2012. Needless to say, I am thrilled to premiere this track. This here is track number two off of H A N G A R.
You can pay-what-you want for H A N G A R right now @ bandcamp.com.